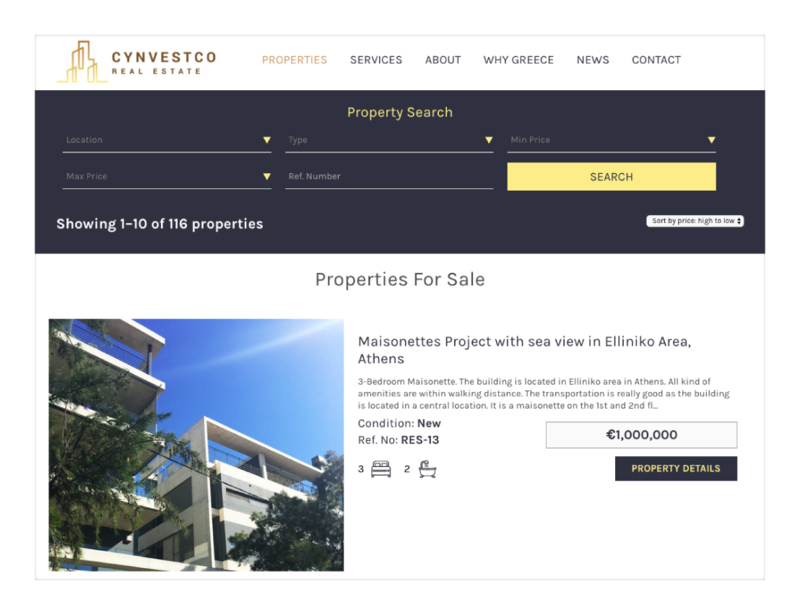 Cynvestco is the go-to address for foreign investors who are interested in acquiring property in Greece. Get in touch, and you will enjoy the benefits of consulting property professionals who will guide you in your search for real estate either on the Greek mainland or on an enchanting island. This was the second time we had the pleasure of collaborating with a Real Estate Agent exclusively active in Greece! It seems we are on a roll! Working with people abroad opens up new horizons and pushes you to the limit as competition is always higher and the clients more demanding. Still a work in progress, the website was designed with the exclusive purpose of drawing international investors to magnificent Greece. We had to work from scratch, including the design of a new logo.